Pricing your own home is hard, what with all the history and hopes this magic number entails. Of course, you want to make a profit. Of course, all that money you spent installing a swimming pool or a half-bath will be recouped, because you're leaving your digs in better shape than when you bought it, right? Right? Well, not necessarily. Too many home sellers fall prey to myths about home pricing that seem to make sense at first, but don't jibe with the reality of real estate markets today. To make sure you haven't bought into any of this malarkey—since the buyers you're trying to woo sure haven't—here are some common pricing myths you'll want to rinse from your brain so you kick off your home-selling venture with realistic expectations. It's time to get real, folks! The NAR also found, for instance, that the cost of single-family homes increased in about 87% of the metros it studied, but prices actually dropped in 23 markets. So don't assume you'll walk away with a profit until you've examined what's up in your area first. We know what you’re thinking: “Hey, it’s worth a shot!” But if you start with some sky-high asking price, you'll soon come back to Earth when you realize that an overpriced home just won't sell. “While the payday might sound appealing, you're actually sacrificing your best marketing time in exchange for the remote possibility that someone will overpay for your home,” says Kathleen Marks, a Realtor® with United Real Estate in Asheville, NC. While certain buyers might be suckered in, this becomes far less likely if they're working with a buyer's agent who will know all too well when a home is overpriced, and advise their client to steer clear. And this can lead to problems down the road (as our next myth indicates). Sorry, but overpricing your home isn't easily fixed just by lowering it later on. The reason: Homes that have lingered on the market for months—or that have undergone one or more price reductions—make buyers presume that something must be wrong with it. As such, they might still steer clear, or offer even less than the price you're now asking. Similarly, sellers are often leery of pricing their home on the low end. But as counterintuitive as this seems, this strategy can often pay off big-time. Here's why: Low-priced homes drum up tons of interest, which could result in a bidding war that could drive your home's price past your wildest dreams. Let's say you overhauled your kitchen or added a deck. It stands to reason that whatever money you paid for these improvements will be recouped in full once you sell—after all, your home's new owners are inheriting all your hard work. The reality: While your renovations might see some return on investment, you'll rarely recoup the whole amount. On average, you can expect to get back 64% of every dollar you spend on home improvements. Plus that profit can vary greatly based on which renovation you do. 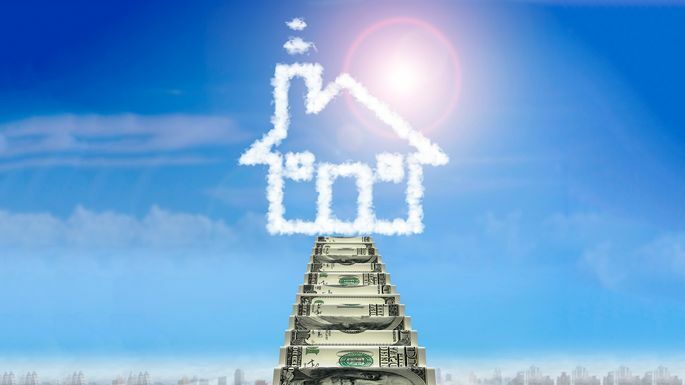 If you have an appraisal in hand, from when you bought or refinanced your house, you might think that’s a logical place to start to price your home. It's not! “Since lenders know markets can change in six months’ time, it's important for sellers to understand that a previous appraisal is never a reliable source for the current value of a home,” Marks says. “While it’s true that an agent’s commission is based on the selling price of a house, the disparity will end up being negligible,” she says. For example, the difference in commission between a $300,000 house and one that's $310,000 is about $150.